1937 Delage D8 Aerosport — Image courtesy of the Studebaker National Museum. 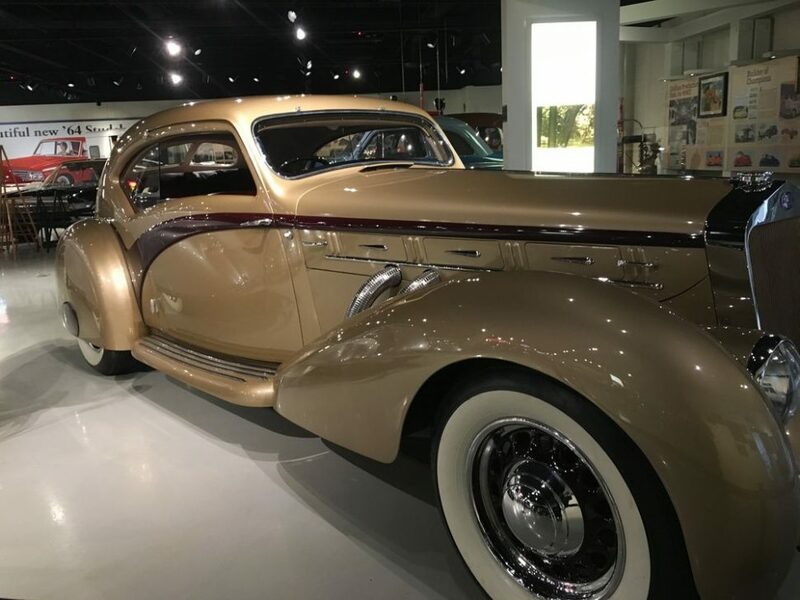 As we enter the last month of the first quarter, the Studebaker National Museum, located in South Bend, Indiana, has opened the doors to its newest exhibit, Streamlined: Style In Motion. The design revolution of the Thirties resulted in some of the most celebrated automobiles ever produced that have become icons of the industry, and are often seen in conjunction with today’s Art Deco revival in pop culture. Chrysler, Cord, Pierce-Arrow, De Soto, Hupmobile, and a host of others from both the United States and Europe broke from the traditional, outdated boxy designs and sculpted styling masterpieces. Some were more popular than others, but in several cases the eye-catching bodies hid mechanical and chassis innovations, such as the earliest adaption of unit-body design. Headlined by a 1937 Delage D8 Aerosport (pictured above), several noteworthy streamlined examples are now on display, including a 1933 Pierce-Arrow Silver show car (one of five produced), a 1935 Stout Scarab, and a 1948 Tatra T87. These Full Classics, as recognized by the Classic Car Club of America, are more often seen at the finest Concours events across the country for mere hours at a time; however, they will be available for viewing until August 2019. For more information about the exhibit and the Studebaker National Museum, call 888-391-5600 or visit StudebakerMuseum.org.